Each week long course costs £150.00 – 10.00am – 4.00pm Monday to Friday. There will be a short performance on each Friday so parents/friends and family can come and see their productions! The kids can wear trainers, tracksuit bottoms, leggings, T-Shirt or anything they can move in and feel comfortable in. All places are offered by audition, to apply for an audition date, please complete the application form and send it to our college address. 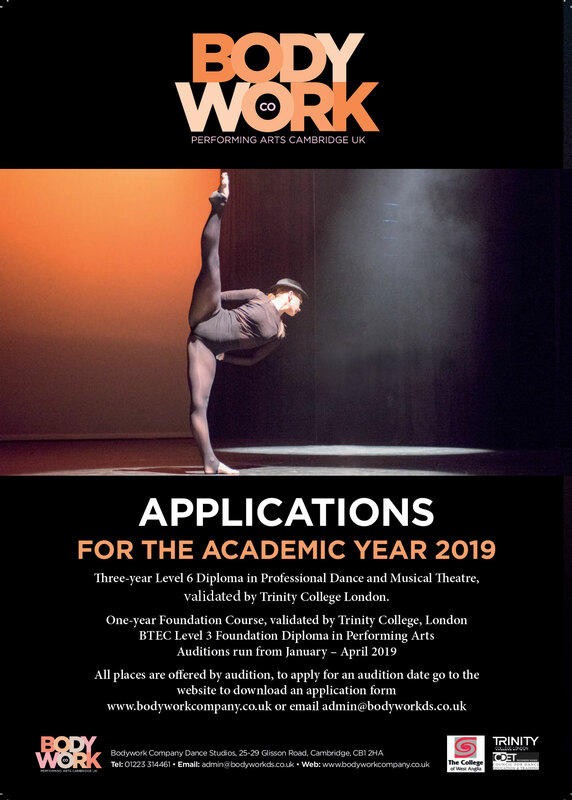 Once we have received your completed application form, photos requested and the audition fee of £45.00 (cheques payable to ‘Bodywork Company’) – we will contact you with more info. 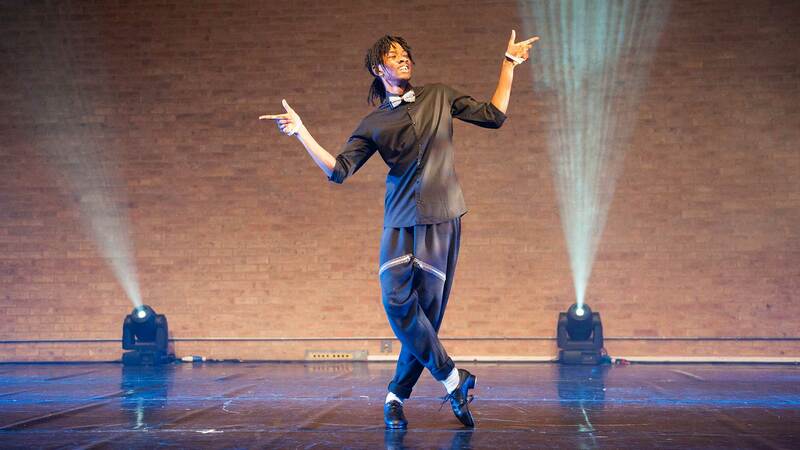 Three-year Level 6 Diploma in Professional Dance and Musical Theatre, validate by Trinity College London. Once we have received your completed application form, photos requested and the audition fee of £45.00 (cheques payable to ‘Bodywork Company’) – we will contact you with an audition date. The audition process will begin in December 2018. 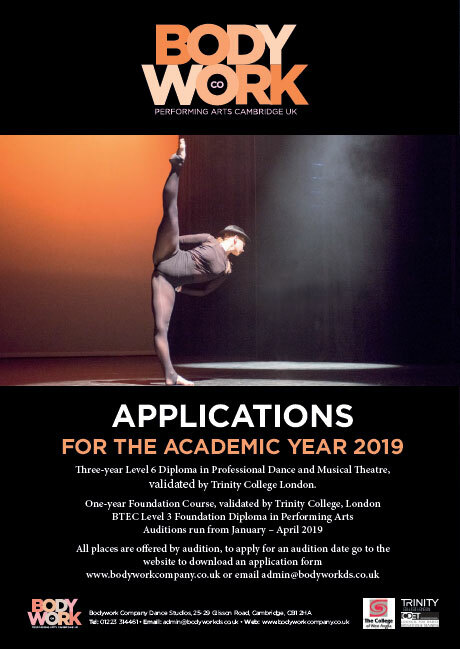 Closing date for applications is March 29th 2019. Exact dates to be confirmed. 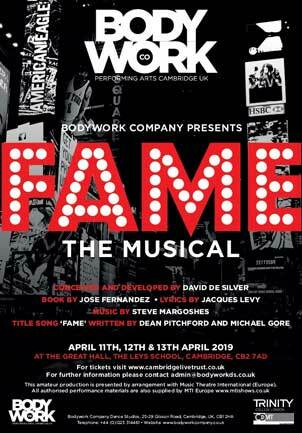 Bodywork Company Presents – Fame the Musical! 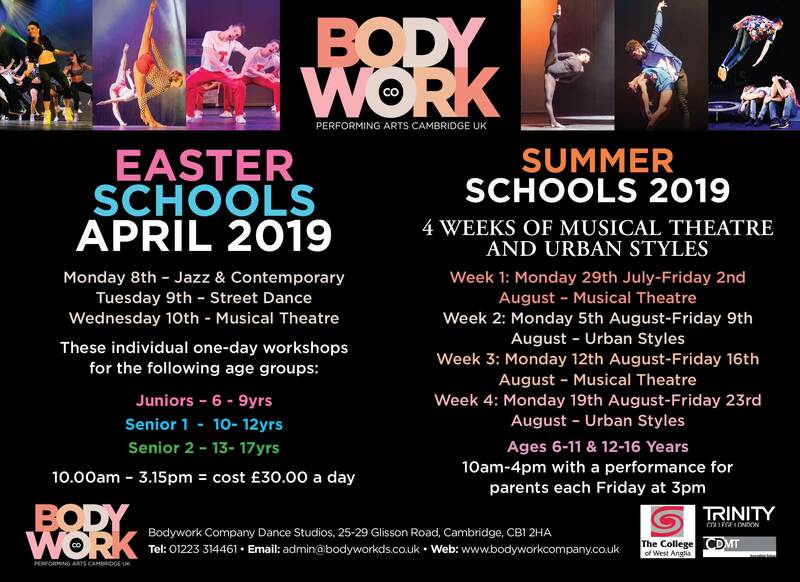 Tickets on sale 1st March 2019 at 9.00am – see below for more info…..
Bodywork Company 3rd year students will be performing a full Musical production of this fabulous 1980’s classic April 2019. Produced by Theresa Kerr, Directed by Stuart Morris, Musical Director – Jennifer Edmonds & Choreographed by Ashley Johnson. Venue: The Great Hall Theatre, The Leys School, Fen Causeway, Cambridge CB2 7AD. Congratulations to Bodywork Company Theatre School Ballet students who recently entered into Royal Academy of Dance (RAD) Ballet exams. From Pre- Primary all the way through to Intermediate. The results are excellent showing 100% pass rate with 57% of students getting Distinction and 43% receiving high Merit marks. 4 out of 6 of our Intermediate vocational Ballet students received Distinction which is extremely good as statistically only 23% of UK in 2017 in this grade received distinction last year. Congratulations to all our students and our Ballet teachers Rachel Dawson and Louise Howarth.